Around the Collar knows that walking your dog is something that should be taken seriously. Both sides of the leash are genuine leather with leather filler inside to give it additional strength. A nickel D-ring is attached near the handle so you can attach a poop bag holder if you choose. 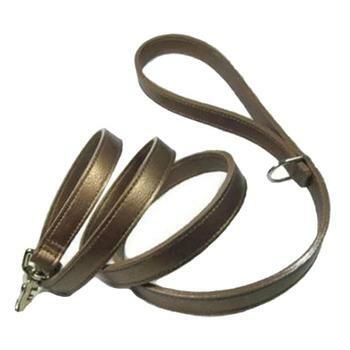 The hook size varies according to the width of the leash.